Omega 3 fatty acids play a role in every cell in the body. Omega 3 makes up cell membranes, keeps the nervous system functioning, keeps cholesterol levels in check, and stavse off inflammation. Once Omega 3 is in the body, it also gets converted into the fatty acids docosahexaenoic acid (DHA) andeicosapentaenoic acid (EPA). Without proper planning, a vegetarian diet may be lacking in Omega 3 fatty acids. Luckily, it is pretty easy to meet Omega 3 recommendations. Foods such as oils, nuts and seeds are very high in Omega 3. However, the problem with a lot of these foods is that they are also high in the other type of essential fatty acid: Omega 6. Omega 6 inhibits the conversion of Omega 3 into DHA and EPA. So, the Omega 3 from foods like walnuts (2542mg Omega 3 but 10666 Omega 6) or sesame seeds (105mg Omega 3 but 5984mg Omega 6) may not be adequate sources of Omega 3 for conversion into DHA and EPA. Note that getting enough Omega 3, DHA, and EPA isn’t just a concern for vegetarians. The Standard American Diet (appropriately called SAD) is low in Omega 3 while simultaneously very high in Omega 6. One report found that Americans are consuming 10 to 20 times more Omega 6 than Omega 3! Most health experts recommend keeping Omega 3 to Omega 6 ratios at 1:4. However, some experts recommend keeping the ratio at 1:1. Some foods (most notably cold-water fish) contain DHA and EPA. However, there are very few vegetarian sources of DHA and EPA (algae being the main one). To meet DHA and EPA recommendations, vegetarians and vegans should strive to exceed the RDA for Omega 3 while simultaneously keeping their Omega 6 intake low. With this in mind, we’ve compiled a list of the best vegan sources of Omega 3. All of these foods also have low Omega 3 to Omega 6 ratios. *The RDAs for Omega 3 are 1.6 grams/day for adult males and 1.1 grams/day for adult females. There are no set RDAs for DHA and EPA. For the details on essential fatty acids, read our Omega 3 nutrient guide. Chia seeds have only recently gotten mainstream attention (at least beyond use on ceramic “pets”) – and it is long overdue! A single ounce of chia seeds packs in 4915mg of Omega 3 but just 1620mg of Omega 6. They are also loaded with calcium (1oz=18% RDA), fiber, and manganese. Hemp seeds have a great Omega 3 to Omega 6 ratio. One ounce of the seeds will provide 1100 Omega 3 and 2700 Omega 6. If you are looking to cut back on your Omega 6 (as most of us should be), then you may consider swapping your olive oil salad dressing for mustard oil instead. Mustard oil has 826mg Omega 3 and 2146mg Omega 6 in a tablespoon. Compare this to the 103mg Omega 3 and 1318mg Omega 6 found in olive oil! 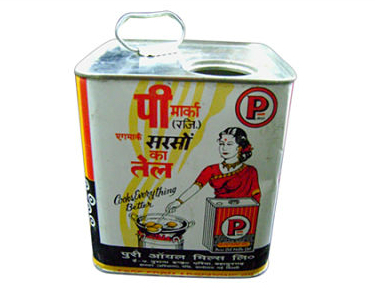 You can usually find mustard oil in Indian food stores. Seaweeds not only have fairly high amounts of Omega 3, but they are also one of the only vegan foods which also have EPA and DHEA. 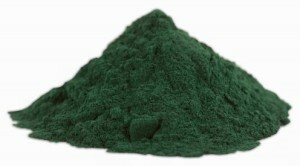 Spirulina (58mg Omega 3, 88mg Omega 6 per tablespoon) is one of the best choices. Wakame is a good runner up. Beans don’t have as much Omega 3 as seeds or nuts. However, they still can help you meet your RDAs all while avoiding excess Omega 6. Mungo beans — aka Urad Dal — are by far the best choice with 603mg Omega 3 and just 43mg Omega 6 in one cup cooked (not to be confused with mung beans). French beans and navy beans are also good choices. To really get the most out of these super foods, sprout them first! Winter squash is a surprisingly good source of Omega 3, with 338mg per cup cooked – and you’ll only get 203mg of Omega 6. 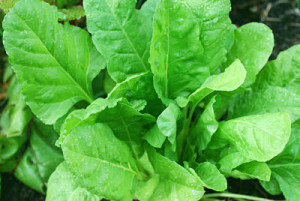 To meet calcium and iron RDAs, vegetarians should be loading up on leafy greens. It turns out that greens are also a decent source of Omega 3 too. A cup of cooked spinach has 352mg of Omega 3 with only negligible amounts of Omega 6. Broccoli rabe, collards, kale and grape leaves are also good sources of Omega 3. Vegetables in the cabbage family have a surprising amount of Omega 3. 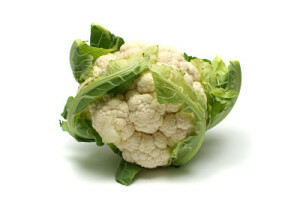 Cauliflower is the most notable with 208mg Omega 3 and just 62mg of Omega 6 per cup, cooked. Broccoli and Brussels sprouts are also good choices. Greens in the cabbage family are also a great bioavailable source of calcium. Berries are not only good sources of antioxidants, vitamins and minerals, but they also are also a good vegetarian source of Omega 3. Blueberries top the list with 174mg of Omega 3 per 1 cup serving while simultaneously only delivering 259mg of Omega 6. 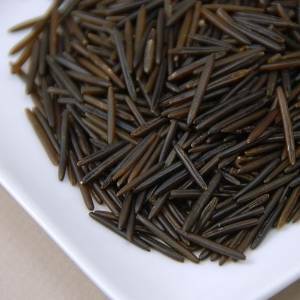 Wild rice should be a staple for all vegetarians and vegans. One cup cooked delivers lots of iron, protein, fiber, magnesium, zinc, and manganese. You’ll also get 156mg Omega 3 while only taking in 195mg of Omega 6. Virtually all popular herbs and spices have a great Omega 3 to Omega 6 ratio. Cloves are one of the best at 86mg/52mg per 2 grams, as is oregano (73mg/18mg), marjoram (49mg/18mg), and tarragon (44mg/11mg). You probably aren’t going to meet your RDAs for Omega 3 on herbs and spices alone, but the added nutrition is a good reason to make your foods more flavorful. Mangoes are one of my all-time favorite foods. These succulent citruses pack in 77mg of Omega 3s per fruit. They are one of the few vegetarian sources of Omega 3 which actually have less Omega 6 than Omega 3 (just 29mg per fruit). 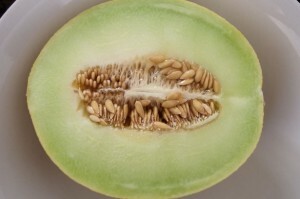 A cup of honeydew melon balls delivers 58mg of Omega 3. 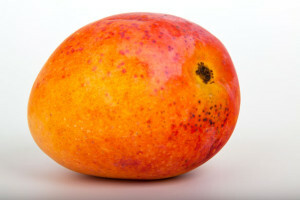 Like with mangoes, it also has less Omega 6 than Omega 3 (46mg!). It is always best to get your nutrients from food first. But, if you are worried that you aren’t getting enough Omega 3 or DHA, you can use supplements as a fallback. Luckily, there are now a lot of vegan omega 3 and DHA supplements, like these three below. You can also check out our recommendations for the top vegan supplements here. NextWatch Dr. Mercola’s FULL length documentary here first! What’s Killing the Babies in this Fracking Boomtown?